SCIENTISTS ARE TO get €47 million in new funding for pioneering research projects. The Minister for Jobs, Enterprise and Innovation, Richard Bruton and the Minister for Research and Innovation Seán Sherlock TD today announced that the €47 million in funding would support 200 researcher positions for 36 research projects. The funds, delivered through the Science Foundation Ireland Investigators Programme, will range from allocations from €400,000 to €3.1 million and will fund researchers until 2019. The projects range from areas such as sustainable food production, enhancing communications networks to enable high quality internet video, developing innovative wave energy devices, biopharmaceutical production, cancer detection and investigating the control of epilepsy development. A further three projects in Future Agri-Food will be funded by SFI focusing on sustainable agriculture, fertility in cattle and microbiology for food. Professor Seamas Donnelly from UCD will be investigating Cystic Fibrosis and the treatment of serious infection caused by a particular aggressive bug called Pseudomonas aeruginosa, which is common in patients. Professor Donnelly aims to deliver new therapies which will prevent biofilm production and makes the bacteria easier to treat with antibiotics. A test which identifies those patients who would best respond to this new treatment will also be developed. The future of the Internet will also be looked at with Professor Cormac Sreenan from University College Cork hopes to enable high-quality Internet video, and yield costs savings for Irish and global consumers of internet video. Sustainable food research will also receive funding, with Professor Emmanuelle Graciet from NUI Maynooth hoping to investigate novel insights into the mechanisms underlying plant immunity, which will open up new avenues for reducing the economic impact of plant infections. 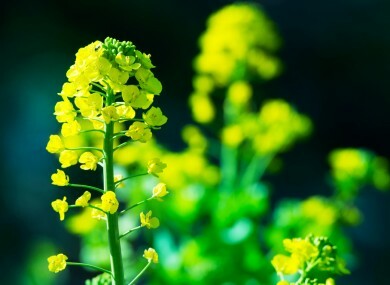 Professor Graciet will exploit these opportunities by generating improved turnip and rapeseed plants which are more resistant to infections. Speaking today, Bruton said providing funding of this kinds was about job creation – “turning good ideas into good jobs”. This major investment will support world-class research in key priority areas that support economic and social development in Ireland.By cconcentrating on sectors of strength, the SFI Investigators Programme aligns funding to areas of increasing national and international importance. This will create many opportunities for successful collaboration between industry and Ireland’s science ecosystem. Email “Scientists get €47m for research in cancer detection, epilepsy and sustainable food ”. Feedback on “Scientists get €47m for research in cancer detection, epilepsy and sustainable food ”.